Hi my name is Terry Dempsey and I am the owner and inventor of the Urban Bait Carp bait range. My Carp fishing journey started way back in 1981 on a number of small park lakes on the outskirts of London at the age of 11. I had become friends with another keen angler at school and during that summer we spent all of our spare time in pursuit of Carp. Carp angling in those days was still relatively new to the world and I soon became aware that catching one was not going to be easy. The big problem I had in those days was hardly any information was available, and secondly, the information that was around was being held tight to the chests of some very secretive anglers. Like any type of angling, the key to success is to get the fish to pick up the hook and it was clear we needed a bait that Carp loved. The first Carp baits I tried were bought from small supermarket shelves, such as beans, corn, tinned meat and bread. All of these baits had great potential but were never easy to use and after a few hours in the water would be nibbled away by shoals of Roach, Rudd and Perch which inhabited the lakes. After lots of research, trial and error I learned much more about the different aspects of Carp baits and after visiting a small shop named Bait 78 was armed with lots of different attractors and ingredients such as lactalbumin, sodium caseinate, soya flour and wheat gluten. The first baits I mixed together using these special ingredients were used in the form of paste, by adding flavourings and colourings I had my own secret baits. It was not long before I was catching carp using these baits and as time went on developed mixes that could be boiled hard and made much tougher to withstand the long sessions I was doing. Still being at school and relying on parents to fund the carp fishing addiction, it was clear the price of the ingredients I was using was far too high for the heavy baiting campaigns I wanted to do. In the summer of 1985 I started using an ingredient I bought from a local pet food shop. By mixing it with my milk proteins 50\50, the bait become much more digestible to the fish and much more cost effective. It was not long after I landed a 36lb giant from a local lake along with a string of other giants from the time. All of a sudden instead of being able to taking a small bag of bait to the lake I was taking a big one. The following year armed with my new bait I landed no fewer than 22 twenty pound carp from a number of different venues and another monster for the time weighing 32lb. During the summer of 1987 I met some guys who were using fish meal baits, I had seen fish meals before but never used them and with some knowledge they past on to me I was armed with a good fish meal mix. The carp world was getting into full swing around this time and essential oils were becoming more available. A mix of milk proteins, fish meals, bird foods, fish oils and essential oils gave me the perfect bait and during 1988 my best season was had, landing over 30 twenty’s and 5 thirties which was unheard of for the time. As things moved on more and more anglers were interested in the baits we were using and it was not long before we were selling ingredients, flavourings and oils from the backs of our bivvies. Along the way I wrote the Carp fishing book, The Urban Myth, which covers the full length and breadth of the adventure when pioneerng baits and rigs was the only way. Moving forward 30 years I am still as passionate about catching carp as I was back then. The bait I use today is still based on the same principles I had back then. The fundamentals of the baits we make at Urban have their roots deep in the tapestry of them times. The main key to being successful at catching carp is in the bait you use, and that’s why we know our baits have upped the catch rates of so many anglers. Not a day goes by when we don’t hear of an angler catching his personal best or upping his catch rate in spectacular style. 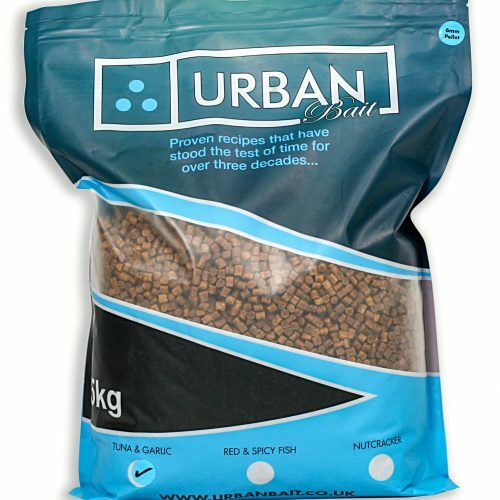 What we are doing at Urban is breaking the boundaries to modern carp fishing, giving anglers baits that don’t just catch carp in numbers but are affordable to use in quantity when need be. Every product we have available will always be one I have total confidence in and have used to great effect in the past. I have said many times Urban bait is my bait kitchen and everything we sell is for my use, so if I want to use a bait we will produce it for me to use and then make it available to the world, good luck with the bait! !